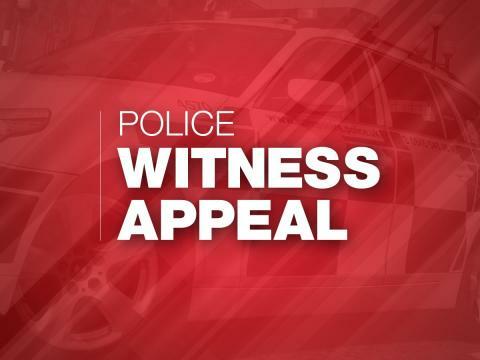 We are investigating after an aggravated burglary at a house on Fort Road in Gosport. At around 5:50pm on Thursday 24 January a 45 year-old woman who had been walking her dog returned home and went upstairs. A man entered her bedroom, demanded money while threatening her with a knife, and then sprayed her in the face with an unknown liquid when she shouted for help. The woman was not seriously hurt and nothing was stolen. He was wearing a black coat over a grey hooded top with the hood pulled up and the bottom half of his face covered. Detective Inspector Abbie Leeson said :”This is a very unusual incident, especially in this area of Gosport. The Neighbourhood Policing Team will be regularly patrolling the area and speaking to residents. “Anyone with concerns can speak to detectives conducting enquiries in the area or uniformed members of our Neighbourhood Policing Team. We have not received any other similar reports in the area. “We are keen to hear from anyone with CCTV or dashcam footage from the area that may assist our enquiries. We would also like to hear from any pedestrians or dog walkers who may have seen the man in the area or around the nearby golf course and beach. “I’d also remind people of our crime prevention advice to shut all windows and lock them when you are not using the room, at night, and when you leave your property. Remember to lock all front and rear doors at night, when you are out, or are in a different part of your house. If you have a UPVC door with a multi-point lock ensure you lift the handle and lock it with the key”. If you saw the man or have any information please call 101 quoting reference 44190029342.